Ready to tap your toes, clap your hands and rock with our favorite musicians? Join us for the Spring fundraising concert and dinner on April 6th from 4-7 pm. 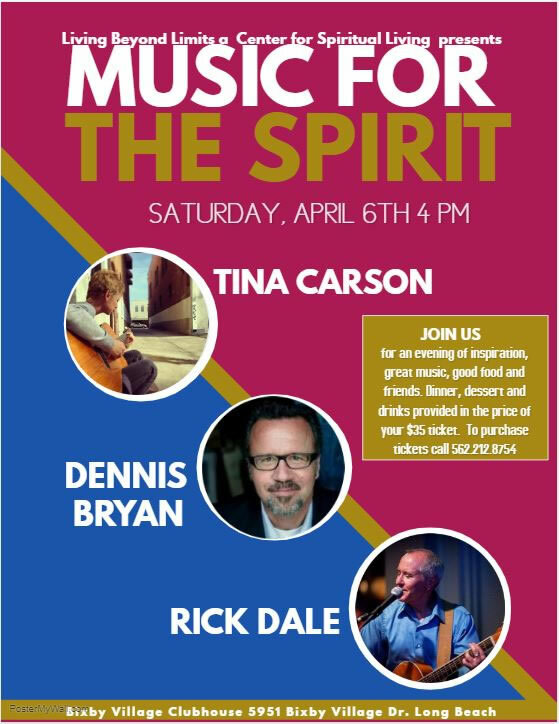 Musicians; Rick Dale, Tina Carson and Dennis Bryan. Bring your friends and family. Ticket are on sale now for $35. They can be purchased on Sundays at Living Beyond Limits or calling 562-212-8754.